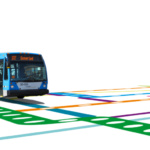 Catbus» Blog Archive » Is Montréal paying too much for BRT on Pie-IX? 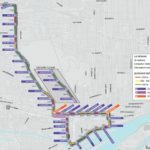 Is Montréal paying too much for BRT on Pie-IX? According to a recent gazette article, the cost to build 15km of bus rapid transit along Pie-IX is projected to cost 305M$. This includes154M$ for 10km in Montreal, 125$M for 5km in Laval, and 26$M for unforseen expenses. The higher relative cost in Laval is due to having to modify on/off ramps, and building parking lots. It’s a question Americans should be asking themselves, since the costs of transit investments seem to be spiraling out of control even as the demand for alternative transportation options has increased and the funds to support them have diminished. Besançon, a city of about 115,000 in a region of about twice that size, has managed to develop a project whose costs are acceptable — “optimized,” the local transit agency calls them — even in a small metropolitan area. Besançon will be getting a light rail line fully in its own right-of-way that extends over nine miles and thirty stations, all for a price of €228 million ($310 million), with construction beginning this fall. The city expects about 43,000 daily riders once the project opens in 2015. This is no streetcar, and yet plenty of U.S. cities are thinking about spending far more per mile on those limited ridership, low-performance systems. He goes into a further analysis on how they cut costs, by avoiding surface construction as much as possible (i.e. ban cars instead of rebuilding streets) keeping station design simple, and getting the best prize on their rolling stock. Apparently the city negotiated with six candidates to produce the rolling stock, fostering competition. It then awarded the contract to CAF (the Spanish company that would like to build the Montreal metro cars..), and now pay 30% less than Houston for similar technology from the same company. The lower cost is partly due to not requiring much customization. The example might not be very comparable to Montréal, and what the city hopes to achieve on Pie-IX. And one could argue that if you buy cheap you get cheap. 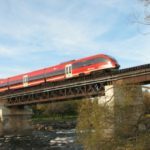 But in the end of the day, the desire to keep costs low on transportation projects is a virtue that seems to be lacking in Quebec, and the rest of North America. And it means that tax payers will pay more to get less, and will have to wait. This idea is partly due to Jarret Walker at provide a similar experience as rail , that they are equal in a way. I believe that rail is the better form of transit in many instances, but it is simply not affordable in most places, either to build or operate. Montreal is currently in phase I and doesn’t even know the costs of the 3 km extension of the blue line. It may be completed by 2016 or so – 10 years after last extension. If the province manages to build only 3km every 10 years, the system will never cover the entire city (because it grows faster than that). Even a planned Bus Rapid Transit line along Boulevard Pie-IX is is now estimated to cost 305$M . 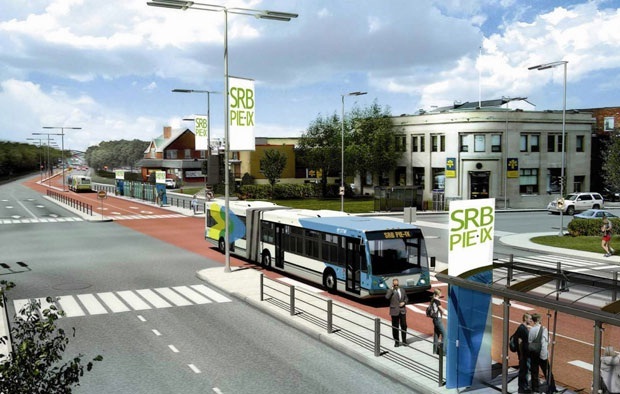 Although not grade separated like “real BRT” , it will still cost 20$ million per Km.